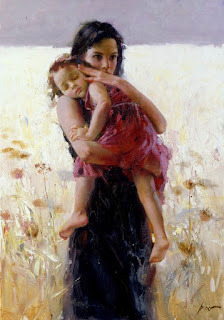 Artist Pino Daeni originals are prized by collectors, and Maternal Instincts is one of his more iconic paintings.. A version of the Pino original painting Maternal Instincts just became available. It has the mother in a lavender dress and the daughter in a teal dress. Another version of Maternal Instincts by Pino (which was also made into a limited edition art print) has the mother in a deep purple dress and the daughter in a burgundy wine dress, and has a deeper background as well. Many famous artists throughout history have painted multiple version of paintings, including DaVinci, Monet, Van Gogh, and Munch. A version of Edvard Munch's The Scream made the news this year when it sold at Sotheby's auction house for just under 120 Million, breaking auction records. There are four versions of The Scream. The other three are in museums in Norway. Between 1892 and 1894, impressionist Claude Monet painted a series of 31 paintings of the Rouen Cathedral with different light and atmospheric occurrences, such as clouds and fog, and from different perspectives. The paintings were well received, and a commercial success at the time. One of the Cathedral paintings was sold at auction in 2000 for over 24 Million. Two of the paintings are in the National Gallery of Art in Washington DC, there are others in museums throughout the world. 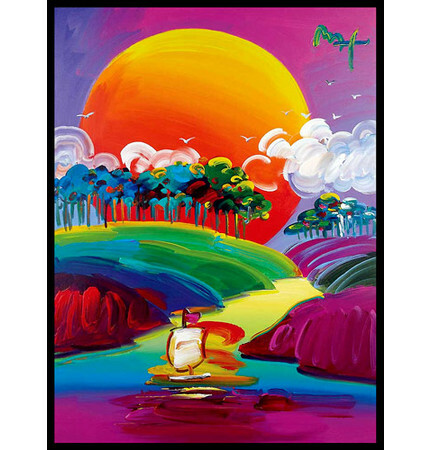 Of course, there are famous examples in modern or "pop art" as well, with Andy Warhol and Peter Max. Sometimes multiple versions of a painting would be displayed together as one montage, but there are also versions of paintings that stand alone. 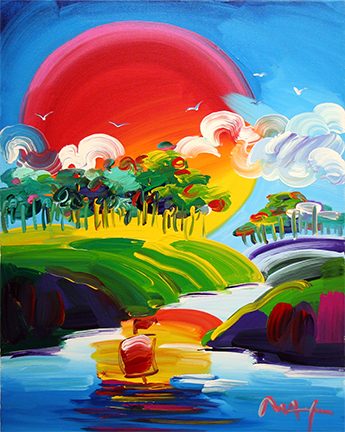 With multiple versions of original paintings, each painting is a unique one of a kind painted by the artist's hand, and not a reproduction like a limited edition print or giclee canvas. 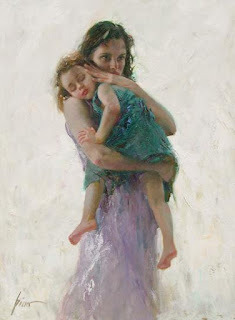 For more information on Pino Daeni art or to request a quote on Maternal Instincts, visit the Pino art exhibit. or contact us at 661 476-7558 or info@jwatsonfineart.com. w.nsf/OPRA/BRUE-8BWNY4. You browse more murals of his at wahooart.com. J Watson Fine Art specializes in beautiful original paintings by award-winning artists like Pino, Morgan Weistling, G. Harvey and many more. We also have a Limited Editions Division that offers select limited editions including rare and sold-out at publisher artwork. We love art and are good at helping collectors find the art they want at a price they are happy with. We can also arrange paintings to be commissioned for you by several famous artists. Contact us at 661 476-7558 or e-mail info@jwatsonfineart.com or visit www.jwatsonfineart.com for more information. Note not all available artwork is on the website. Contact us for other offerings.